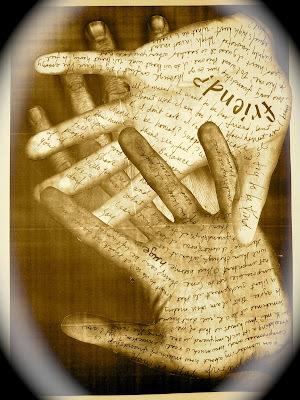 ART THERAPY REFLECTIONS: Today when you pause, reflect on your hands . . . The craftsmen of the Middle Ages, thought that the spiral patterns on our fingertips are marks left by the soul entering or leaving the body. When we touch others with love, care, and attention it is a soulful act.